I really liked this book because we grew up working and didn't really know what fun time was. Learning how important it is to have downtime for and with my kids has helped me make time to bond with each of my kids. I also learned to surprise my kids with fun things like park trips or picnics to keep their “joy” level up. This book gave me the tools to start my day that would help me accelerate my personal development a d reach the unlimited potential within me. Starting and Building a Non-Profit a Practical Guide: This book has helped me know all the tools and ideas I needed to get started on building Hope After Polygamy. I am always reading and re-reading this book to learn and know what the next step is for our non-profit to become a success so we can continue to help those in need who leave Polygamy. Combating Cult Mind Control by Steven Hassan: This was the book that helped my transition most into the world after polygamy. The book went into mind control in depth, it explained how people end up following cults, why people stay in them, and what to expect when you leave them. It helped me know that I wasn’t alone in this process and that my experiences in leaving were completely normal. In Sacred Loneliness: The Plural Wives of Joseph Smith by Todd Compton: Is the next book that I read that had a major impact on my life. This is a historical account of Joseph’s Smith’s wives. This book helped me see that polygamy wasn’t practiced any differently in the beginning as it was lived presently inside of these polygamist cults. Learning this helped me to see that maybe polygamy wasn’t ever from god and allowed me to feel like it was okay to shake the beliefs that I had grown up with. The Devils Dictionary by Ambrose Bierce: My journey took me down the path toward science where I eventually came across this old text. This book is a satirical dictionary written by a civil war soldier in the early 1900’s. This book helped me to feel like it was okay to question everything. It was refreshing to know that others have had the same thoughts that I have had about belief and helped me grow more comfortable with openly expressing my thoughts and helped begin the rest of my journey to where I am now. First off I need to be honest, I don’t actually enjoy reading. I had a lot of negative feedback from it as a child, and being taught I need to keep all my time productive I struggle reading for fun. With that said, I do still read “self-help” books as my mind has justified them to be “productive time” and I don’t have to combat that voice I heard as a child so much. Further, I should also mention that I prefer to listen to books rather than actually read them because I feel I retain more information and can multi-task. I could not narrow this down to three so the following are the most helpful books to me after leaving polygamy. When A Woman You Love Was Abused: A Husband's Guide to Helping Her Overcome Childhood Sexual Molestation by Dawn Jones: This book was really helpful in learning to be compassionate toward myself and my emotional triggers in response to previous sexual trauma. This book helped me learn how to be patient with myself and work through my triggers. I felt empowered as I learned to identify triggers so that I could leave a situation before I was in a panic attack. The Four Agreements: A Practical Guide to Personal Freedom (A Toltec Wisdom Book) by Don Miguel Ruiz: This book helped me recognize some of my thinking patterns and practiced changing them to incorporate new thought patterns and values now that I was no longer in polygamy. The four agreements are 1) Be impeccable with your word. 2) Don’t take anything personally. 3) Don’t make assumptions. 4) Always do your best. Reading this book really helped me not to always assume that others noticed my social awkwardness or take their responses to me personally. Of course I was not perfect in this, but if was a big step in the right direction after reading the book. How to Talk so Little Kids Will Listen: A Survival Guide to Life with Children Ages 2-7 by Adele Faber & Julie King: I recently listened to this book and absolutely loved it. I feel it was so helpful in utilizing phrases to speak not only with my kids, but clients, family, friends, and others I socialize with. I originally sought out this book because with my daughters getting older I wanted to learn better ways to communicate with them. I feel my parenting has significantly improved since reading the book. I feel that my expectations from myself and from my children have become more realistic. I have also used the skills in my own positive self-talk and feel it has helped me be more compassionate towards myself and others I interact with. Raising An Emotionally Intelligent Child the Heart of Parenting by John Gottman: This is another one of my favorite parenting books. I sought out to read this book because I was raised to have my emotions shunned. Often told to stop crying when I cried, not taught how to appropriately express negative feelings like anger, sadness, fears, frustrations, etc. This book helped me identify these emotions within myself, to recognize when they were present, accept them, and then find appropriate ways to express them. This has also helped me model this with my children. I have also interacted with my clients and others where I have used some of the skills from this book. in sharing with others that it is ok to feel negative emotions, and in fact a healthy person feels all ranges of emotion. All The Rules by Ellen Fein & Sherrie Schneider: This book was interesting, but it was still a good read for me that significantly helped me navigate dating. It helped me learn when an appropriate time to share my upbringing in polygamy and how so that it didn’t negatively impact the relationship. I picked this book up after having a few men that I had dated think that because I was from polygamy that I could be taken advantage of sexually. I had also had one guy that told me it was too much drama to worry about and he was looking for a girl without a history of problems. I felt shamed of myself and my upbringing in polygamy. I sought this book wanting to learn how to date better and I feel it really helped me. There are some old-fashioned thinking, and of course I did not follow all the rules, but I did find inspiration through all of them in how I wanted to present myself while dating. Notorious RBG: The Life and Times of Ruth Bader Ginsburg by Irin Carmon and My Beloved World by Sonia Sotomayor: Both of these books tell the stories of women born in low income areas and, despite all the odds, navigated their way to a seat on the US Supreme Court . The stories of their early life, and legal careers inspire me and show me that it doesn't matter how life begins, my future belongs to me. Sum of my parts by Also written by Andaleeb Wajid: Also written by a female attorney, this book normalized having a mental health diagnoses in response to childhood trauma. The author developed dissociative identity disorder to survive her childhood, and explores caring for each of the different parts of herself as she heals in adulthood. This book gave me so much insight into valuing the person I was, and who I was becoming, and taught me to patiently give myself the space to process how I survived my own childhood. What are some of the books you’ve read that have helped you in similar situations? 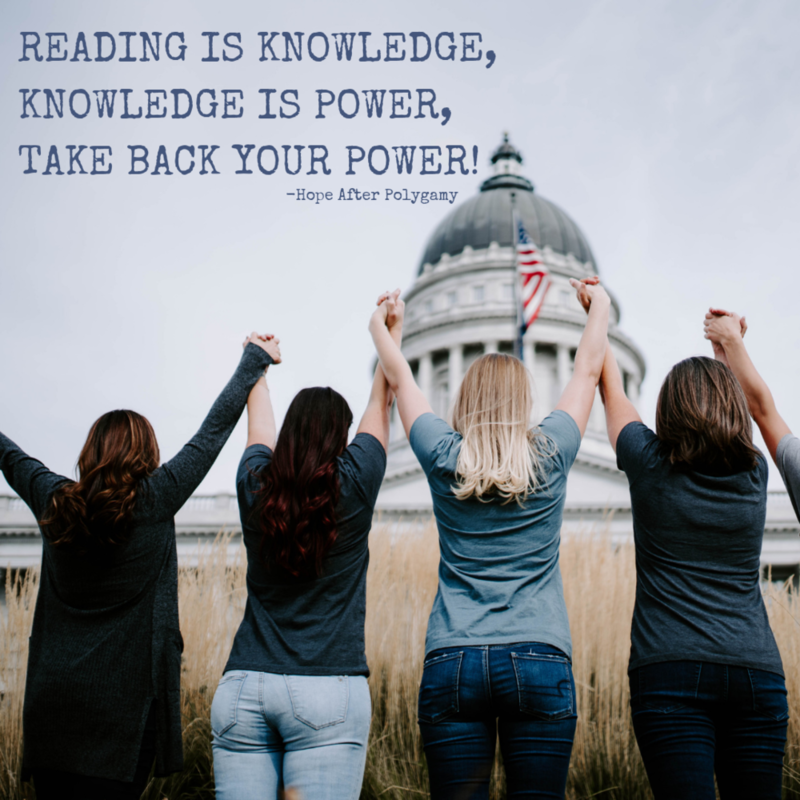 Please share in the comments below to help us build a great reading list!